If you browse our profiles and can’t find an editor whose skills appear to match your project needs, please click here to send an email requesting further assistance. An experienced writing coach, proofreader, and editor, I specialize in fiction, memoir, journal writing, articles, and academic papers. I offer timely, precise, and thoughtful proofreading, editing, tutoring, and mentoring in the fields of education, history, humanities, and literature. I have taught writing and research for 30 years; have written educational handbooks, manuals, and newsletters; and have conducted numerous seminars and in-services on all phases of writing. Clients include novelists, short story writers, and scores of students writing theses. This rich experience allows me to provide patrons a caring approach to their projects while guiding them to a successful end product. As a writing coach for people working on nonfiction (theses, dissertations, academic papers, books, memoirs), I provide developmental and copyediting services and help with organization, writer’s blocks, procrastination, time management, and breaking long or overwhelming tasks into doable pieces. I coach graduate and undergraduate students on writing projects. I also work with faculty who are trying to publish books or articles in a variety of fields. My coaching experience includes work in social sciences, education, sciences, and humanities. I am also experienced working with adults and teens with learning disabilities and ADD. My recent book, How to Become an Academic Coach, coauthored with Hillary Hutchinson, is a good illustration of my capabilities. Having edited and proofread for book publishers and individuals for 15 years, I offer you service that has been described as “careful, proficient, and thorough.” Recently, a dissertation I edited for a nonnative speaker of English won two awards from La Trobe University for its “exceptionally high quality.” I help writers express themselves logically, clearly, and consistently and conform to Chicago, MLA, or SBL style. With strong knowledge of the Bible in English and a useful knowledge of Greek, I am especially well equipped to help you with a project in biblical or theological studies. I also welcome projects relating to food issues, language and literature, history, and education. I am committed to respect in the editor–client relationship. Specializing in scholarly and academic books and articles, I provide thoughtful, exacting, respectful edits in many content areas, including art, astrophysics, business, health care, HIV/AIDS, law, mathematics, medicine, museum studies, poetry, psychology, reference, religion, and women’s and LGBT studies. I’m also personally interested in manuscripts about quilting, beading, knitting, and cooking. 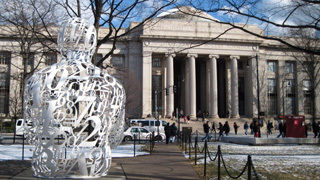 I’ve worked at Harvard for more than 25 years as an editor at the Harvard Art Museums, Center for Astrophysics, Harvard Business Review, and Astrophysical Journal Letters and as a long-term freelancer for Harvard Business School. As an editor who genuinely loves to proofread, I can provide meticulous proofreading for consistency, clarity, grammar, and house style. I’m a thorough fact-checker and Chicago Manual whiz. Clients have cited me for my diplomacy and appreciation of nuance. Please email me; I’d be delighted to learn about your project. Proofreading, copyediting, and translating of business- and computer-related and various other generally technical materials (in electronic or paper form), book length and shorter, since 1996. Over 20 years of experience doing substantive editing of academic articles and general nonfiction. Experience writing manuals, brochures, newsletters and project management. Staff writer for University World News. Taught piano and high school English; ten years of experience in hospital management; ten years of experience as a litigation paralegal. Do you need help with editing, revising, and/or organizing your writing? Or perhaps with developing your ideas into a work that you have not yet written? I greatly enjoy collaborating with writers and publishers on academic, fiction, and nonfiction works (from books and journal articles to essays and blogs). Experience: Over 25 years as a copy editor, content editor, and developmental editor, both freelance and in-house. Clients: Individuals (professors, attorneys, students, researchers, novelists, and other writers), organizations (unions, legal services, nonprofits), and publishers (including Houghton Mifflin, University Press of New England, Rienner, Pearson, Harvard Asia Center, Hackett, UNESCO/IBE). Edit books/working papers/public policy briefs for nonprofits/think tanks/ research institutes and academic/reference/trade publishers—in international relations/urban affairs/social sciences/history and military history/psychology/ music/Judaica/biographies/memoirs: copy and substantive editing, rewriting, reorganization, fact-checking, proofreading. Books/articles/dissertations for individual authors, esp. scholars writing for a general audience and those for whom English is not a first language. Have written and edited definitions for Random House and other dictionaries; edited encyclopedias (e.g., YIVO Encyclopedia of Jews in Eastern Europe); edited AV educational scripts. Original writing: speeches for nonprofits; essays/feature stories/profiles/ reviews for magazines and newspapers; radio documentary for NPR; CD liner notes (www.cdbaby.com/openthegates). Contributor to Inventing Community Renewal (New School University). English and writing teacher; noted music historian and lecturer (adults and schools). Produced and hosted over 100 radio programs. I have substantial experience polishing technical reports, policies, procedures, essays, research papers, poetry, Internet drafts (see the IETF for more information), PowerPoint presentations, ad copy, features, interviews, columns, reviews, and documentation. For the past several years, I've been working closely with a client who uses psychological measurements for program evaluation reports, so I am also very familiar with The Publication Manual of the American Psychological Association (6th edition). If you need help managing deadlines, breaking your project down into smaller tasks, or otherwise require coaching with regard to time management or project management, I can help with that, too! I can edit for just spelling and grammar or I can go more in-depth, suggesting word choice changes and proposing adjustments to streamline the flow of your piece. I am a nerd with many interests, and I genuinely like making writing better. I am an experienced copy editor specializing in academic writing within the social sciences, particularly economics and health economics. In my first life, as a professor of economics at Mount Holyoke College and the U.S. Naval Academy, I guided students through the research process. Now, as a research fellow at the Institute for Health Management and Health Economics at the University of Oslo, I have an excellent record of polishing articles written by nonnative English speakers so that they meet the publication standards of major journals. Experience with books (15 so far), articles (hundreds), chapters, and case studies by professors at Harvard Business School, MIT, Stanford, Columbia, UCLA, University of Cambridge (UK), INSEAD (France), McGill (Montreal), Hong Kong University of Science & Technology, Tsinghua (Beijing), and others. Experience with articles, white papers, analyst reports, website text, and case studies for Alcoa, AT&T, IBM, the International Monetary Fund, the Institute for Healthcare Improvement, Management Sciences for Health, Virginia Mason Medical Center, and others. Experience working on books and articles with consultants in management, design, IT, biomedical, and other fields. I can work with almost any subject, from entrepreneurship to art history, from financial risk assessment to autism, from hospital safety to supply chain management. An academic philosopher by training, I’ve published a monograph, Wittgenstein’s Account of Truth (SUNY Press: 2003), short-listed for the Canadian Philosophical Association Book Prize. I enjoy making dense texts accessible and have been described as having “an excellent eye for style and economy.” I offer both developmental editing and copyediting. If there are “holes” in your logic or points that need clarification, I will identify them and collaborate with you in revising the passages that need additional work. I have more than ten years of experience editing books and journal articles in philosophy, psychology, sociology, and anthropology as well as fiction and nonfiction. My rates are reasonable, and I offer a special rate for full-time students. As a professor of writing and literature, as an editor, as a speaker and reader of several languages, I take pleasure in getting each word right. I specialize in clarification of complex ideas with a clear thesis and offer developmental, substantive editing as well as copyediting. My areas of expertise are the arts and humanities although, for years, I edited documents in technology applied to education as well as expository writing texts for Simon and Schuster. I’ve taught essay writing to native and nonnative speakers alike and have edited dissertations and articles of both. I enjoy the translation aspect of editing nonnative English speakers. I have also ghostwritten a book. All good writing is essentially storytelling. No matter what you’re writing—a thesis, a chapter, a report, a biography, a proposal, a novel, a poem—successful communication depends on understanding your reader’s needs and developing your ideas along a single, clear, sustained line of thought. I specialize in developmental editing of memoirs and literary projects, but the storytelling model applies to every kind of writing. My editorial experience ranges from editing the memoirs of a real-estate mogul to annotating the plays in The Norton Anthology of Drama to copyediting the last three editions of The Norton Introduction to Literature. Please see my CV. Mathematical and computer-related writing and editing of classroom textbooks and online educational software for major publishers at both the grade-school and the high-school level; correlation of textbook content with state educational standards; published translations from German and classical Greek. Also available for general writing, editing, proofreading, and coaching. During a 25-year career as an acquisitions editor at nationally prominent publishing houses such as Little, Brown and Butterworth-Heinemann, I have developed strong skills in proposal and manuscript assessment; manuscript development; and rewriting for clarity, consistency, and organization. This background is particularly suited to helping new authors prepare materials for submission to publishers. My experience includes technical, medical, and professional books; scholarly monographs; biographies; and basic textbooks in a wide range of subject areas: history, sociology, anthropology, architecture, engineering, biotechnology, veterinary medicine, ophthalmology, and medical imaging. In addition to having helped hundreds of authors improve the quality of their work to acceptable publishing standards, I have also written Web content and taught composition at the college level. I have 25 years of experience as a developmental editor, substantive editor, and copy editor. I edit textbooks, monographs, research articles, and dissertations in these disciplines: psychology, sociology, education, public health, business, literature, communication. I am affiliated with the University of Colorado/Denver Writing Resources for Faculty, and I am a former developmental editor at Pearson Education. My clients are faculty and higher education textbook publishers. Clients include Pearson, McGraw-Hill, Wiley & Sons, Cengage, plus faculty and PhD students at the University of Colorado, Brandeis, Colgate, Babson, and more. Please contact me at greenline.edit@gmail.com for a free consultation about your book, dissertation, or professional article. I look forward to hearing from you! My husband, Robert Chatel (A.M., philosophy, University of Chicago), and I have been editing academic texts since setting up our business, Future Perfect, in 1999, after working in higher education in Greece, China, and Portugal. We have helped authors in the E.U. and U.S. in a variety of disciplines: philosophy, literature, sociology, economics, archaeology, and medicine, to cite the most frequent. Our collaboration and combined experience in dealing with texts written by nonnative speakers of English mean that we can usually meet demanding deadlines with an extremely accurate text. I am an editor, proofreader, indexer, librarian, and marketing consultant with more than 30 years of experience. I assist academic, corporate, legal, government, and nonprofit clients by providing content, research, usability, and marketing services. I offer copyediting, developmental, and structural editing, acquisitions editing, and indexing with a focus on works on the social sciences, law, business, public policy, education, women’s studies, and the arts, I am available for short- and long-term projects. My editorial specialty—and my passion—lies in the qualitative social sciences, history, and cultural studies. I also translate from Spanish, French, and Portuguese into English in these disciplines through my sister company, Social Research Translating Services. My forte lies in stylistic, structural, and copyediting, whether for native or nonnative speakers of English. I believe social research writing should be both persuasive and engaging, objective and elegant. As a former university professor, I know the challenges of conducting research, writing, and getting published in the academic world. For two decades, I have helped social scientists bring out the best in their writing and enhance their chances of publishing in prestigious journals and academic presses. Available to assist nonfiction writers and work collaboratively on long-term projects. Currently, contract editor for the New England Journal of Medicine-Journal Watch and production manager for National Association of Perinatal Social Workers. Previous career experience includes Time Magazine and Harvard School of Public Health. I am an experienced professional indexer specializing in back-of-the-book indexing of textbooks (college and K–12, incorporating state standards), encyclopedias, histories, biographies, student and faculty handbooks, employment-related handbooks, user guides and manuals, how-to books, instruction manuals, and general-interest nonfiction. My primary areas of expertise and special interest are music and animal behavior, particularly dog behavior and training. I also enjoy indexing local histories and biographies. I work collaboratively with my clients to ensure the index I create will add to the value of the book, thus contributing to its success. Kaplan, J. B. (2014). The quality of data on “race” and “ethnicity”: Implications for health researchers, policy makers, and practitioners. Race and Social Problems, 6(3), 214–236. Kaplan, J. B, & Bennett, T. (2003). Use of race and ethnicity in biomedical publication. The Journal of the American Medical Association, 289(20), 2709–2716. Moscou, S., Anderson, M. R., Kaplan, J. B., & Valencia, L. (2003). Validity of racial/ethnic classifications in medical records data: An exploratory study. American Journal of Public Health, 93(7), 1084–1086. My work with academic authors’ manuscripts includes proofreading, copyediting, developmental editing, and editing for meaning and structure. I help authors develop a text that is clear, accurate, persuasive, engaging, stylistically consistent, and appropriately organized, within required style guidelines. I work with academics and their manuscripts across disciplines that include sociology, psychology, education, philosophy, cultural and religious studies, economics, and music. My academic background is in developmental psychology, religion, literature, and music; I have research experience with qualitative and quantitative designs and methods. For more than 20 years, it has been my pleasure to assist academics at all career stages with creating polished manuscripts from theses to primary research papers to books. In positions in research organizations, universities, and a consulting firm, I directed over 50 research or evaluation projects and wrote or edited their reports. Communication clarity is my forte. I offer substantive editing for meaning, structure, consistency, and persuasion; manuscript organization; and copyediting. I am highly experienced in social sciences, health sciences, and narrative nonfiction. I am author of 4 books, sole or lead author of 30 articles in peer-reviewed academic journals, and sole author of 16 articles in popular magazines and blogs. Virtually all my submissions for publication were published with minimal editorial changes. I will work with you to clarify your writing and publishing objectives, apply appropriate style conventions, and help with manuscript clarity, consistency, and organization. Copy editor/proofreader specializing in STEM. Experience working on technical books, academic journals, and textbooks. Senior lecturer at Boston University’s Center for English Language and Orientation Programs. Science background plus speed. I have experience on daily newspapers with tight deadlines and have turned some projects around in a day. Specialist in RO1 and PO1 grant applications for NIH. Recent clients include Harvard, U Michigan Medical School, the Dartmouth biochemistry department, and pharmaceutical companies. Currently lead writer at MIT’s Horizon Project. Topics have included public health, epidemiology, statistics, pharmaceutical and LED research —you name it. Covered science and medicine for three daily newspapers. I do copyediting (commas, etc.) but am best at clarifying a paper marred by murky patches where you know what you wanted to say but didn’t get it quite right. Also teach expository writing; an account of the method is here: www.popecenter.org/commentaries/article.html?id=2843#comment-div. My specialty is academic copyediting and developmental editing for a variety of disciplines. I have edited books, journal articles, grant proposals, book proposals, dissertations, and more. My goal is to partner with you to create high-quality writing that best serves the reader, making academic topics understandable to both the expert and the general reader. Clients include faculty from MIT, Stanford, Northeastern, Rochester Institute of Technology, University of Washington, and others. Their manuscripts have been published by Yale University Press, Wiley Blackwell, Palgrave Macmillan, and various journals. Clients also include Baylor University Press and Baker Academic. For more information, see www.susan-matheson.com. With 20 years’ experience in academic editing, plus a decade in journalism, I’m adept at helping scholars produce clear, concise, and engaging papers. I’ve edited hundreds of papers, dissertations, and journal articles for students and professors from Harvard, MIT, Tufts, BU, and beyond. Subject areas range from public policy, law, business, and biotechnology to history, African-American and women's studies, political science, war and peace studies, theology, counseling, and architecture. I streamline sentences, “fix” grammatical errors, point out ambiguity and structural flaws, suggest vibrant vocabulary … in a gentle manner, as I understand writing can be challenging, especially for ESL scholars. I also offer coaching. I have decades of experience as an academic and general editor, specializing in history, art history, art, literature, and mental health. With expertise in grammar, usage, and style, I can help you clarify your ideas, streamline your writing, and clean up your citations. Recent projects: an article on constitutional politics for a University of Georgia law professor; articles and book chapters on U.S. antitrust history, U.S. bankruptcy law, and the American fair trade movement for a Harvard Business School professor; and an essay on Van Eyck for a George Washington professor. Other projects: books and articles on 17th-century Indian painting, 19th-century American labor law, aging and disability, special education, child labor, paid parental leave, and perinatal mood and anxiety disorders. I am a versatile, detail-oriented developmental editor specializing in mathematics, business, economics and the sciences. An academic and textbook editor for over 30 years, I have collaborated with both first-time and experienced authors. Scholars I’ve worked with include faculty members at Harvard Business School and Stanford, a Japanese computer scientist (Chukyo University), an Italian economist (Federal Reserve Bank), and a Nobel laureate in physics (Harvard). I can help organize and revise your manuscript to produce an effective, polished work. In addition to editing research papers and monographs, I developed the second-leading calculus textbook, now in its fourth edition. I’m a thorough proofreader and a precise fact-checker who has accuracy-checked calculus textbooks. I’m committed to working on time and within budget. With degrees in history and communication studies, I have coached debate, written social studies textbooks, and worked in presidential libraries. I specialize in editing humanities and social-science manuscripts (especially history, political science, and communication studies, including rhetorical theory/public policy argument, mass comm, and cultural studies). Whether editing for nonnative English speakers, graduate students, senior faculty, or research organizations, I focus on developing a writer’s argument and the writer–reader relationship and strengthening the author’s use of evidence. I strive to eliminate wordiness, improve clarity, and develop an active voice. Familiar with APA, MLA, Chicago, Turabian, ASA, etc., I edit to specific style requirements. I enjoy editing and developing relationships with returning authors. I am experienced in archival research as well. Clear academic writing is a pleasure to read. I ensure that the dissertation committee member, acquisitions editor, or peer reviewer who reads your work can engage with your ideas, rather than stumbling over errors of grammar or phrasing. I work with scholars in the humanities and social sciences, and am especially conversant with history, anthropology, religion, critical theory, and Spanish literature and culture. I’ve edited dissertations, student papers, and journal articles. I’ve also worked on local and regional histories and K–12 textbooks, and served as a researcher and script editor for a documentary filmmaker. Attuned to the differences among audiences, I can help you make your writing more accessible and attractive to a broader readership, without sacrificing complexity of thought. I am an experienced academic editor who works independently with professors, researchers, independent scholars, and graduate students to edit their books, journal articles, conference papers, dissertations, theses, and other projects. While my first love is history, I have also edited in the fields of literature, languages, philosophy, classical studies, art history, music history, film and theater, political science, psychology, sociology, anthropology, education, tourism and hospitality, pharmacology, neurology, brain sciences, computer engineering, and much more. I also have extensive experience working with ESL/EFL clients. I do everything from simple proofreading to more extensive copyediting and substantive and structural editing. Over 35 years’ experience as an editor, researcher, writer. Known for thoughtful, accurate, diplomatic editing. Editor: Books (visual literacy, educational research). Manuscripts (disability accommodation, dreams, environment, health, poetry, social sciences). Website content (photography, animals, astrology). Short stories. Researcher: Bibliographies for consciousness and healing project, disability grants, manuals. Areas: anthropology, archaeology, astrology, biography, consciousness, disabilities, dream research, healing, health, poetry, psychology. Writer: “If Poetry Scares Us, Why Do We Read It?” Medford Transcript. “Call of the North: Peregrine’s Pilgrimage,” “Dreaming in Animal.” International Association for the Study of Dreams. “A Song about Us: The Lullaby Project at Casa Myrna Vazquez.” Lyricist for Lullaby Project. Following a fulfilling career editing books and scholarly articles for a leading research library and a history museum and writing for an alumni magazine and a program newsletter, I’m ready to put my skills to work for you. During more than 30 years in “publications,” I have worked with students and professionals in a variety of fields—history, literature, social sciences, art—who are pleased with the results. I can help you revise a peer-reviewed article or manuscripts such as a dissertation, book, or academic paper. I have helped scholars write book proposals that result in contracts. I can suggest ways to express your ideas clearly for academic and popular audiences, whatever the length of the piece you are writing. As author of books, articles, essays, and op-eds, and developmental editor in social sciences, history, and politics, I help writers turn ideas and drafts into submissions and publications. My approach assists developing skillful drafts, completing theses, polishing articles, and publishing books. Working with authors and editors on a project basis, I offer guidance and coaching on drafts, and reviewing manuscripts to finish well in a timely manner. I assist on developing proposals for theses, publications, and funding, and advise on preparing talks, presentations, and invitations. While the authors re/write, editorial guidance improves clarity and persuasiveness. Goal is to complete, publish, and promote promising projects. My Citizenship as Foundation of Rights won Orwell Prize for clarity and contributions to public discussion. Edit or copyedit papers and revisions for submission to academic journals; dissertations; grant applications; PowerPoint presentations; reports; job and teaching applications. ESL writers a specialty; available most weekends and semester breaks; confidentiality and deadlines respected; free edits of sample pages. Recent topics: medical device design engineering; machine learning/artificial intelligence; water utilities in Germany; warehouse operations; retail price comparisons of carbonated beverages; autonomous vehicles; predictive maintenance policies for electric motors. Recent client responses: I successfully got a position and hope to continue collaborating with you. ... I got two NSF awards this year. ... One paper was accepted last week and two manuscripts, where you edited the abstracts, have also been accepted. Researchers, administrators, and students (often international) have appreciated my editing of their scholarly and trade journal articles, book manuscripts, proposals, theses/dissertations, reports, whitepapers, cases, and promotional materials in physical or life sciences, engineering/technology, manufacturing, energy/environmental economics, policy-related subjects, etc. Beyond ~20 years writing, editing, and/or managing communications at MIT for a laboratory and three programs (one collaborating with U.S. industry on research and education; two informing governments, industries, and decision makers) and four years in marketing communications with an enterprise software firm, I have helped clients for many years to communicate clearly through particularly close attention to grammar/syntax, consistency/logic, style, and flow. Clients have included affiliates with MIT, Harvard Business School, Stanford and other universities worldwide, and U.S. government entities. Available for copyediting, proofreading, formatting, and genealogical research. Subject areas: history, social sciences, biblical studies, literature, and family histories. I have had extensive in-house experience with a variety of publishers: college textbook publisher, religious publisher of scholarly and religious books, and computer manufacturer. I enjoy helping authors with their writing, whether scholarly works or novels, by evaluating the organization, pointing out inconsistencies and errors, and rephrasing awkward language. I find that the skills needed for editing of academic works serve me well in editing/proofreading of fiction. Recently I designed, formatted, and edited the translation of a memoir filled with photos and documents. I turned over a PDF file of the 300-page book to Harvard Bookstore for on-demand printing. Twenty-five years of experience in APA-style academic editing for both native English speakers and international students have prepared me to assist you with your clarity of expression, organization, and formatting. I have supervised and edited dozens of dissertations, chapters, research papers, and articles with qualitative, quantitative, and mixed-methods designs. Having led many successful dissertation committees, I also offer coaching for working with your committee and preparing for your hearing(s). With extensive experience in educational technology management, design, implementation and evaluation from preschool through postdoc, I also offer expertise on content and resources in many areas including online education, blended learning, assistive technologies, teacher training, faculty development, mentoring, cyberethics, instructional design, Internet psychology, and related specialties.